DEEP RIVER, Conn. -- A Connecticut snack maker is recalling some of its potato chips for possible salmonella contamination. 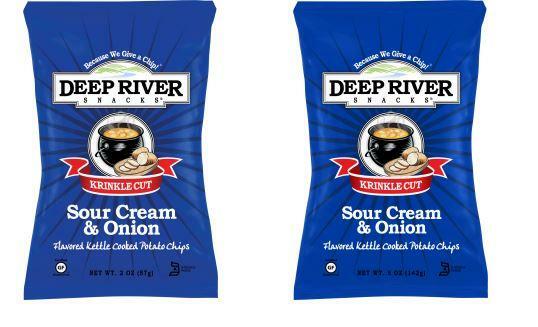 Deep River announced its voluntary recall of certain bags of its sour cream and onion kettle chips sold nationally through retail and food service outlets. The recall includes 2-ounce and 5-ounce packages with best-by dates from Nov. 9, 2016, to June 2, 2017. “Although no pathogenic bacteria have been found in any of our ingredients or in any of the Deep River Snacks products, out of an abundance of caution, we have decided to recall products produced using the affected ingredient from this supplier,” the company said in a statement. The company founded in 2002 says buttermilk powder used in the seasoning may contain traces of salmonella. Customers are being asked to throw out any affected products and contact Deep River or the U.S. Food and Drug Administration.